Bergen: Chr. Michelsen Institute (Sudan Brief 2018:02) 4 p.
What drives child marriage in Eastern Sudan? There are several causes that contribute to child marriage in eastern Sudan, including poverty, lack of education for girls, avoiding stigma and the legality of child marriage. However, tradition and protection of girls’ chastity and morality emerged as the most important driver across the three eastern Sudanese states, including in poor and rural areas. Girls are forced to marry early because they are stereotyped as being prone to premarital sexual relations which would be damaging to the family and community’s honour. Protecting girls from immoral behaviour (sutra) is a clear motivation behind the continuation of child marriage in eastern Sudan. All drivers of child marriage must be understood within the context of gender discrimination. Inequality and discrimination against girls is often embedded within the religious and cultural norms related to dowry, bride wealth and the protection of girls’ sexuality. According to the international NGO Girls Not Brides, child marriage happens to girls because of the belief that girls and women are somehow inferior to boys and men. Despite external drivers for child marriage, child marriage ultimately happens to girls simply because they are female. It is motivated by gender-discriminatory norms that are rooted in patriarchy. Our research highlights a number of key drivers of child marriage. We found that the legality of child marriage, tradition, protection of girls and avoiding stigma are important drivers. These are encouraged and compounded by poverty and gender discriminatory norms which allow the practice to continue. Child marriage in Sudan is legal. The young legal marriage age in Sudan is the result of conservative interpretations of Sharia which allows child marriage from puberty. Under Sharia law, female puberty begins with menstruation. A marriage may be arranged, but not consummated, prior to puberty. However, Sudan’s Muslim Personal Act of 1991 sets the age of maturity at ten, despite many children not reaching puberty by this age. The National Child Act of 2010 defines a child as a person younger than 18, but does not mention child marriage explicitly. Conservative actors inside and outside of the government defend the practice and claim that it is rooted in Islam. They claim that marriage at the age of maturity prevents immorality. 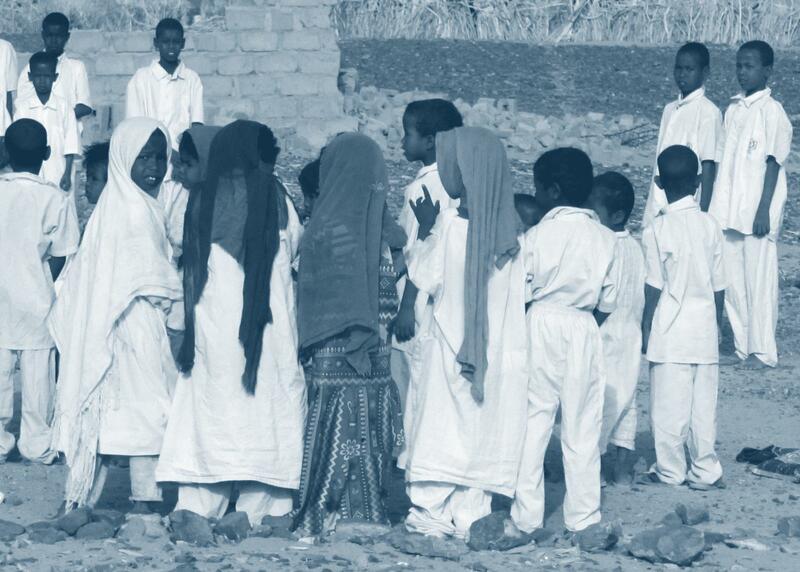 Sudan’s laws facilitate and encourage child marriage, giving it an Islamic legitimacy. Despite international and domestic pressure to make 18 the minimum age for marriage, the Muslim Personal Law remains unchanged. Although Sudan has ratified the Convention on the Rights of the Child, it has failed to comply with its recommendation to set 18 as the minimum age of marriage. “We are part of a community. We have to respect traditions, to comply with community expectations for marriage to avoid social sanctions”. However, it appears as though the real meaning and intention of protection is not to protect the girls themselves, rather to protect the families from stigmatisation and dishonour. There is a belief that if you marry girls young, it is less likely that she will disobey her husband. Interviews with local communities revealed that socialising girls into obedient wives was as a driver of child marriage in some communities. In the words of a middle-aged, educated man from Port Sudan; “Marrying girls during childhood enables the husband to socialize her to be submissive and obey him. Avoiding the stigma of ‘bayra’ (“not demanded for marriage”) for girls remain a key reason for practicing child marriage. The norm here is protecting the girl from stigma. Continuing education exposes expose girls and women to such stigma. Young men and their families stigmatize as being resistant to traditions, and are unlikely to be obedient to husbands expected as [younger, uneducated] girls. Poverty is endemic in Sudan. According to UNDP, Sudan currently has a poverty rate of 46.5% across both rural and urban areas. This has a direct impact on the high level of child marriage, especially in rural areas. Poor families may reap financial rewards from marrying their children early, often in the form of a lower dowry and lower marriage costs. Once daughters are married, the economic responsibility for their care shifts to the husband. These factors act to encourage families to marry their daughters early. This is especially prudent in situations where the daughter may be married to someone influential or wealthy within the community. Child marriage persists for many reasons, however, it ultimately happens to girls simply because they are female and is driven by gender-discriminatory norms rooted in patriarchy. It is important to recognise that while poverty is a specific driver on its own, many of the other drivers of child marriage stem from poverty, for example restricted access to education. A lack of education available for girls and limited school facilities, relating to poverty, is both a cause and effect of child marriage. All drivers of child marriage must be understood within the context of gender discrimination. Inequality and discrimination against girls is often embedded within the religious and cultural norms related to the protection of girls’ sexuality. In short, there are a variety of factors that lead to the high prevalence of child marriage in Sudan. Poverty, lack of education for women and the legality of child marriage are all important factors. However, tradition and protection of girls’ chastity and morality emerged as the most important drivers in our research. The legality of child marriages sanctions its continuation throughout Sudan, but regionally, it is encouraged and facilitated by tradition and poverty something which puts interventions against child marriage at risk of backlash from traditional and religious actors in favour of the practice. In our research, on child marriage, we addressed urban and rural communities in three states in Sudan: Red Sea State, Kassala State, and Algadaref State. We used qualitative methods to explore the perceptions of communities in three States on child marriage, a topic of cultural sensitivity and evolving complexity. We used three primary data collection tools: structured interviews that utilised a questionnaire (survey), semi-structured interviews, and focus group discussions, allowing us to gather qualitative information about drivers for child marriage in each region. We targeted both males and females and individuals of varying social status across different locations within each state. This enabled us to understand both the practices that were happening, and also perceptions of what drives child marriage in each region.